I have looked at many switches, most recently I considered snap action switches (micro switches). What I prefer to use is a PCB mounted switch, but I cannot find any that can tolerate the V DC ratings requirements. What are some other options I should consider? Or is it not a big problem to use a switch rated for 250 V AC in a DC circuit, especially if the number of times the switch will be actuated with an energized circuit is low (few dozen)? For example, this D2S-10L13D...datasheet. It is rated at 250 VAC 10 A. 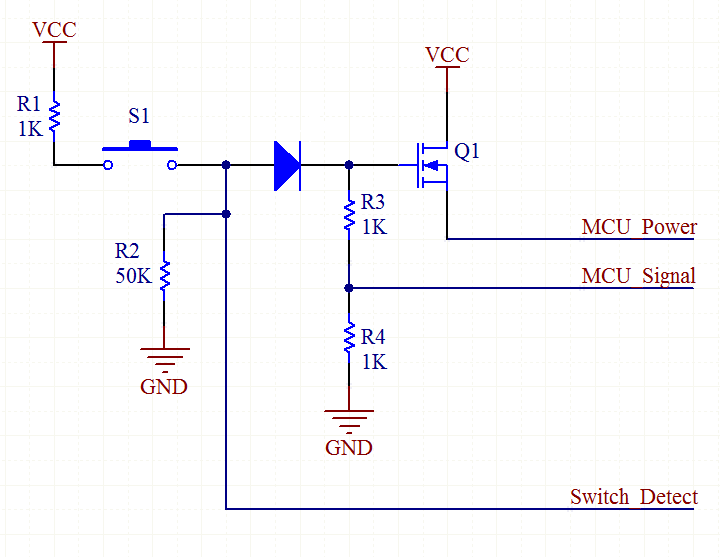 Also, will two switches in series allow for double the switching voltage capacity? With switches reliability is an issue, if a switch stopped working then a product worth hundreds or thousands of dollars might not be able to turn it on all because of a switch. If you read switch datasheets they will most likely give a reliability number for actuation or lifetime. The problem is the current running through them affects the reliability, the more current there is, the more likely there will be problems with arcing and heating, both of which reduce the lifetime of the switch. (or if there is many times the rated current, it could heat the contact and melt materials or blow out the contact by vaporizing it!). Typically the two worst enemies for switches are heating and arcing. AC is much easier on contacts because it extinguishes arcs (it crosses 0V many times a second) and because of RMS values (10Vpk AC has less power than 10V DC because it is not constant\sine wave). This means AC will heat less and have less problems with arcing VS DC. Less arcing and heating also means less wear on the contacts and longer lifetime. Use the smaller switch to drive a larger relay if you need higher loads. In product's I've designed that are 1kW or more, I've used a smaller switch to drive a relay and then that turns the product on. Typically the smaller switch is used to actuate something larger (like the circuits above). Typically a relay, SSR, or an electronic switch like a mosfet or BJT. Surprisingly enough, electronic switches are more reliable than mechanical ones because they don't have contacts that can break down (and oxidize). These days the latest transistors can switch hundreds of volts. The ratings are designed for lifetime and reliability for millions of actuations, the datasheet says if you keep the switch within the given ratings (voltage, current, temperature, humidity) it will last for tens or hundreds of thousands of actuations (50k for the D2S-10 and 200K for the D2S-01). If the switch only needs to last for hundreds of actuations, it could probably be derated a bit. If the application is for a lab or hobby project, the ratings could be considered differently than a certified product (RMA's and service calls are very expensive to companies). If your in a lab and the switch breaks, buy a new one, or get two when you order them in case you burn out the first one. 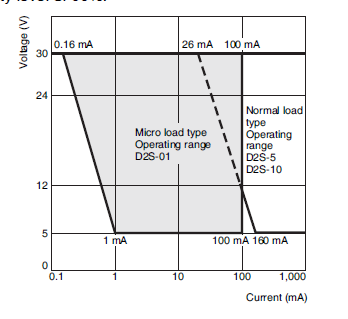 Looking at the datasheet for the D2S-10L13D shows that it has roughly 50mΩ of resistance, so I don't think heating is a leading factor as the D2S-5 and D2S-10 have current ratings of at least 5A, at 50mΩ this equates to 5W to 1W of power (P=I^2*R), which the DC rating would only have 5mW of heating with it's rating of current. No, because one switch will always close faster than the other one, and you'll still have roughly the same voltage across the other switch as it closes. The current will remain the same. DC is much harder to switch at high voltage than AC. The reason for this is arcing. AC current goes to zero 100-120 times per second, allowing an arc to extinguish. DC does not have this luxury. To use a single switch, you would have to find one with a DC rating high enough. They wont be cheap. Here is an example of one. An alternative approach that you will see used often is to use a small switch to activate a relay that switches the high voltage. This can be done quite affordably because you can use a small value switch and relays can be very cheap. These switches in the <2A category are all gold plated to permit the low current non-wetting requirement and rated for non-reactive loads (resistive). As the open switch contact gap gives good margin for 1kV/mm breakdown from arcing, the reactive surge to a cap or open surge from an inductive wire can create and small arc that burns the micro" gold plating on the contacts and wears out, then you have oxidation problems over time with rising contact resistance or in other words the contacts become an insulator. For this reason, DC contact switches are heavily de-rated for even small inductive loads or else you suffer long term reliability issues. Thus semiconductor switches can be more reliable or suitable. Putting two relays together will NOT solve your problems, theory says if you have similar impedances the current will split equally, however, the differences in manufacturing make impossible to guarantee that (thinking in mechanical devices), also, always one will connect first, and in consideration of the fast constants involved, one relay will take all the wear making the problem bigger. If the power is too much for a switch, maybe a strategy with PWM to slowly show the load to the power supply/switch is a good idea. Not the answer you're looking for? Browse other questions tagged voltage switches or ask your own question. What are the types of damage can a voltage sag cause? switches- What type of switch is S1 here?